Every Christmas growing up in my teens, I would write my Christmas list for my parents, detailing the things I'd had my eye on that year. Amongst other unrealistic super expensive, dream items, every single year without fail, there on the list would be 'braces'. I apologise in advance for the length of this post, but hopefully you'll find it useful if you too are looking to get braces. I hope to share as much detail as possible, but if you have any other questions, feel free to drop me a question in the comments or tweet me! I had braces like most kids, at the age of 12 while they were still free under the NHS (over 18s are not covered). But after losing one retainer and the new one taking too long to be made, my teeth had already moved back to their original position and my new retainer didn't fit. A whole year of my life wasted! Since then, I've been so self conscious of opening my mouth or letting people see them, that I don't think I've actually smiled... like.. properly grinned.. in over 10 years. I absolutely hate it when people say "cummon' just smile", or "cheer up, it might never happen", or the worst one; "you would look so much prettier if you smiled". It's horrible and actually makes me feel even worse about myself as I then have to make doubly sure I don't smile to hide the fact I'm not smiling because of my teeth. I went through my teens smiling as if I'd lost all my teeth with my lip covering them, or I would hide my mouth behind my hand. It's really no way to live, and did horrors to my self confidence and social life. I was constantly accused of being grumpy or giving people a dirty look when they first meet me.. but it simply wasn't the case! I'm generally a bubbly person, energetic and talkative (some would say I even talk too much!) But I suffer from a natural 'resting bitchy face' which I'm sure fellow sufferers would agree, it's a real problem that some of us girls face. Now, I can't help the natural position of my face sans expression, but I can do something about my insecurity with my smile, and hopefully once I'm finally happy with my teeth, I can start smiling again and finally reflect my personality on the outside! Since I've been engaged, I've said to my partner that I will not have any photos of me on our wedding day unless my teeth are straight. I don't want to look back at photos and hate myself or have the photographer photoshop the hell out of each one, then privately cry to myself that it isn't the reality. My dream is to smile proudly on my wedding day and that's exactly what I've endeavoured to accomplish! I did lots of research into the different types of braces and different options; veneers, lingual braces, clear removable braces (like Invisalign) and fixed braces, either metal, plastic and ceramic (train tracks) and I eventually settled on a fixed train track like brace. I found them to be much cheaper, get better results and I wouldn't ever be able to lose them as I did my retainer the first time round. 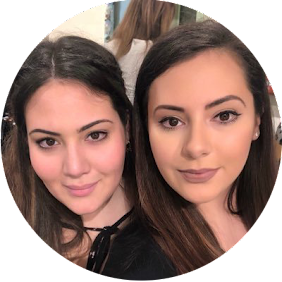 The deciding factor was that invisible braces only tilt your out-of-line teeth into position, whereas fixed wired braces can physically move the position of the teeth in any direction, twisting, turning, tilting and pulling them into 'correct' alignment. They are also a lot faster at doing this than removable braces such as Invisalign. This just seemed more permanent and more effective! This type of brace works by fixing brackets to each tooth in a particular place, which, when attached to a progressively stiffer wire (changed each month), will pull them into perfect alignment. The treatment is then finished off with not only a removable clear retainer (like the one you get with Invisalign) but a permanent fixed wire on the back of the teeth to keep them in line FOREVER! As I needed both my top and bottom arches corrected, overcrowding and overlapping; I had several sets of moulds and photos taken at the dentist to confirm that this was the best course of action to take. Once confirmed, my monthly payment agreement was signed and was booked in the following week for my new braces to be fitted. Being something which I've wanted for so long, I have no shame in admitting the price. All in, my braces, retainer, appointments, permanent wire, moulds, adjustments etc. is costing me £3,200. Over 3 years in a 0% interest payment agreement, and a small deposit, this is costing me around £73 a month. At Christmas last year, in lieu of any presents, I asked relatives to instead kindly donate some money into my 'Tooth Fund' so that I could have a perfect smile for my perfect day. My very generous partner and parents will do the same for any upcoming birthdays and Christmases to help me pay it off. I just cant wait for them to see the final result! Now I have the braces fitted, there's been quite the adjustment with what I can eat, how I eat and getting used to both wearing them, and their upkeep. With some luck, they should be off in time to have perfectly straight teeth for my wedding next June. There's been so much progress in movement in the 5 short weeks that I've had them on. My two front teeth, which previously overlapped and stuck out, are now almost in alignment and actually look half way to a decent smile. I'm so excited!!!!!!!!!! Now, most people ask about pain. Initially there was some pain, but mainly due to the pre brace hygienist appointment which made my teeth super sensitive, the tips of my teeth were really tender. Biting or chewing anything was impossible. The pain went away in my teeth and jaw after about a week and since then, even after a wire change at week 4, there's not been much, if any pain. The cost, if you were interested in braces like mine, will differ from dentist to dentist and dependant on how severe your misalignment is. There are many contributing factors to the price, so I would recommend you do as much research as possible into the different types and also, the different prices that dentists may offer. You may even be able to get your teeth whitened included in the price! Shop around for different prices and see what fits your budget. For me, this was not only the cheapest option, but the most effective. At my one month wire change, my dentist said that it may only take 6-8 months as my teeth have moved a huge amount already, so may not need them on for the 12 months I was initially quoted. I now carry a small bag full of essentials with me everywhere, just in case I get food stuck in my teeth, have a fear of discolouration, and general cleaning and flossing after meals, as well as several packs of orthodontic wax for when the wire or brackets start grating away at my cheeks. I will go into further detail about the upkeep and my essentials in another post, so keep an eye out! Obviously, as mentioned, I am funding these myself, and am very grateful to my family for their kindly gifted donation in helping me pay for them. When you finally get something you've wanted for so long, there's such a sense of relief and excitement. I just cannot wait for my big day to come so that I can finally show the happiness I am feeling! 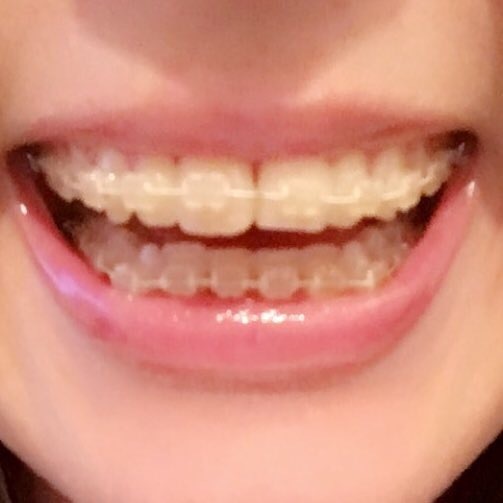 If you want to know anything more about my braces and how they work/ how they're maintained, feel free to drop me a comment! 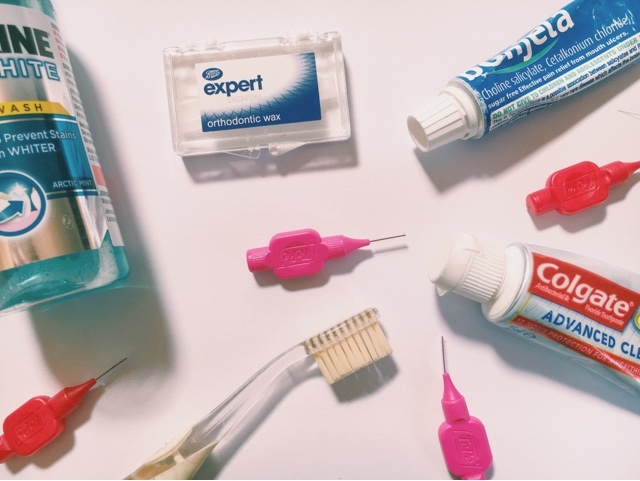 I will be doing another post soon about the up keep essentials that I use every day in order to care for my teeth and braces. **UPDATE! : They're off! I couldn't be happier with the result! Now, to get them whitened! 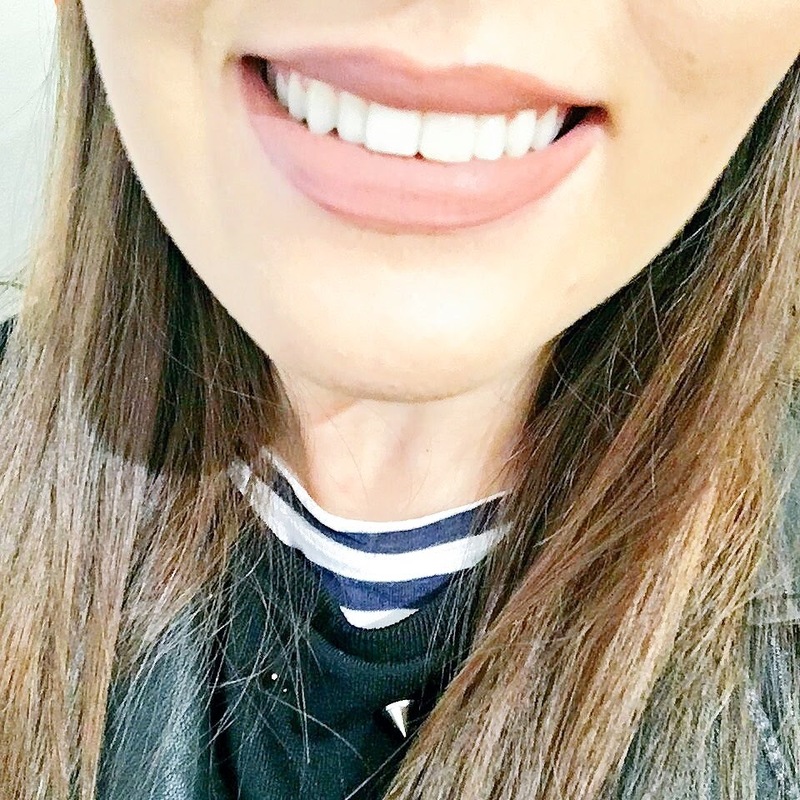 I had the train track braces followed by plastic retainers as a teen on the NHS back when I was around 13/14 ( which was a long time ago) and now my top & bottom front teeth are slightly squashed again and cross over, I'm like you never show my teeth in pictures, iv thought about having them done again, but it's a lot of money & always have other things. I think if I was going to do it, I would have done it when I was younger, il wait for some good causes teeth now! Yeah there's always the risk of them moving back if you don't wear the retainer exactly as instructed. That's why I'm so glad I went for the fixed retainer as well as the removable one, as I know I'm prone to forgetting things! It's definitely an investment, I'm just glad that my wedding was a good kick up the backside to get it done, otherwise I would probably still be saying I'm going to get it done and never actually do. I would just bite the bullet, it may mean you have to budget for a while, but regaining confidence in both yourself and the way you look has no spend limit (what I tell myself when i buy makeup too!). Treat yourself, you deserve it. If having perfect teeth will make you happy, don't deny yourself of it! Fantastic post! I really hope these braces work out for you this time! I had train track braces between 12 and 15 and quite liked them. They improved my teeth so much which I'm glad because my mum paid a small fortune for them as NHS wouldn't cover it. Sadly my retainer broke and my orthodontist shut down and basically never referred me to another one so now my teeth are back to the rubbish crooked smile I had as a child. I've looked into getting them again and even an Invisalign. I think the invisible style would be more suited to me due to my personal and work life. I'll let you know if I end up getting them! I would definitely recommend getting them again.. If not only for the confidence boost! You may need to talk to an orthodontist as the Invisalign isn't suitable for everyone. It just tilts teeth, so relies on them being relatively straight in the first place, or at least all facing the right way. The great thing about the ceramic train tracks is that it can twist and physically move teeth into alignment! Also they are barely even noticeable. I've spoken to many people and they didn't realise I had them until I mentioned them! They're clear porcelain brackets which are tooth coloured, with white wires and white bands! I even forget I've got them sometimes! And depending on the severity, you could be looking at only having them for just 6 months, and after get a fixed permanent retainer on the back of the teeth so they never move! With Invisalign you can get that after too, but you run the risk of them tilting back, whereas the train tracks, will be harder as the teeth have been physically moved around in your jaw! Let me know if you get them! A monthly payment plan is also so useful in being able to afford something like this! Hi Jasmine! I have a question, I have 2 3rd molar with cavities and misplaced and 2 front teeth, is it advisable to get the braces with those two impacted tooth or should I have it removed? I would like to visit the dentist but is still shy to face them with my condition.